Award-winning San Antonio artist, Cindy Morawski, paints the subjects of landscapes, florals, birds, and wildlife with pastels. A charter member and past President and Board of Directors Member of the Texas Pastel Society, she has created art since childhood. Cindy also enjoys painting plein air landscapes outdoors with the Texas Pastel Society. Teaching and painting are two of her favorite things. An outdoor enthusiast, she tries to capture the light and colors of her subjects in nature within her compositions. Her artist statement helps provide some personal insights. "I take artistic and spiritual inspiration from the natural world and then try to place it in a window for my viewer to appreciate. I want the viewer to feel as though they are standing where I am and looking out, appreciating the scene and feeling the awe in the goodness and beauty that nature provides." Cindy's paintings can be found in five art galleries/shops as well as in commercial and public spaces in San Antonio: Starving Artist Art Gallery, River Art Gallery, BesArte Gallery in LaVillita Village--downtown San Antonio, Mitchell Lake Audubon Center's Gift Shop, and Flower Me Gifts Shop in Northwest San Antonio. Cindy's studio and teaching space is called--Mockingbird Studio & Gallery in the Northwest neighborhood of Braun Station West of San Antonio. She teaches art in an afterschool program for children, and instructs adults on the weekends there. 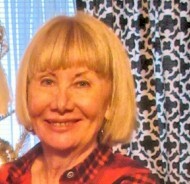 Her public work has also been exhibited at the Alamo's Emily Morgan Hotel, Hotel Valencia on downtown's Riverwalk, Arthritis Associates in the Medical Area of San Antonio, the Ecumenical Center with the current exhibit: "Art Heals Hearts," and the Candlelight Coffeehouse Cafe near Trinity University.